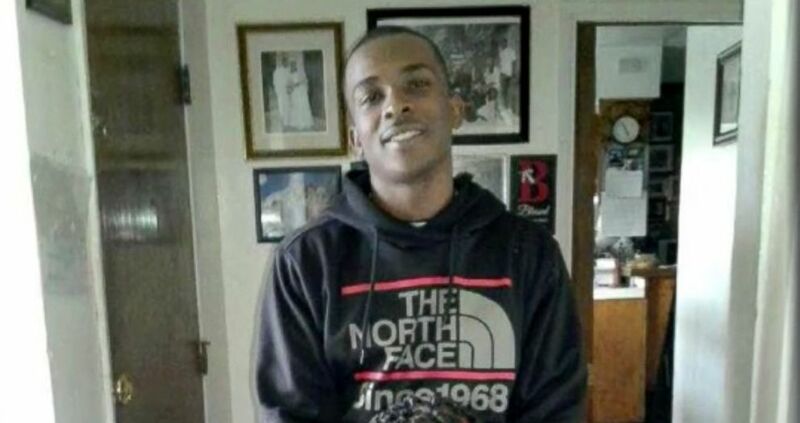 Family members of Stephon Clark, the unarmed black man fatally shot by police in Sacramento last March, filed a wrongful death lawsuit against the city and two police officers on Monday, citing racial profiling and excessive force. The suit, which names Terrence Mercadal, Jared Robinet and the city as defendants, is seeking at least $20 million in damages in connection to the 22-year-old's death. 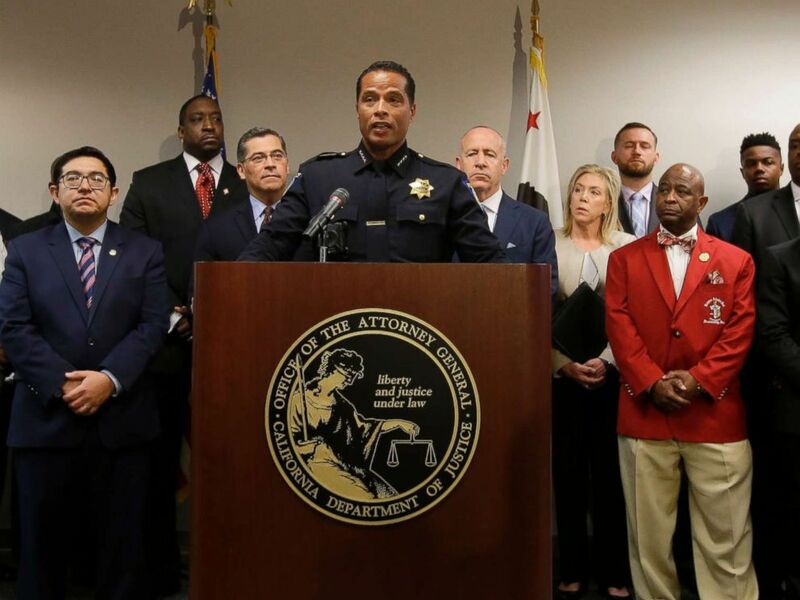 "This family deserves answers and full transparency from the officers, the city and the Sacramento Police Department on the unjustified use of excessive and lethal force that killed Stephon Clark and robbed his children of a future with their father," Brian Panish, a lawyer representing Clark's children, said in a statement. "When the facts are fully disclosed," he added, "we are confident that a jury will deliver justice that reflects how grossly the police and city officials failed Stephon, his family and the people of Sacramento." 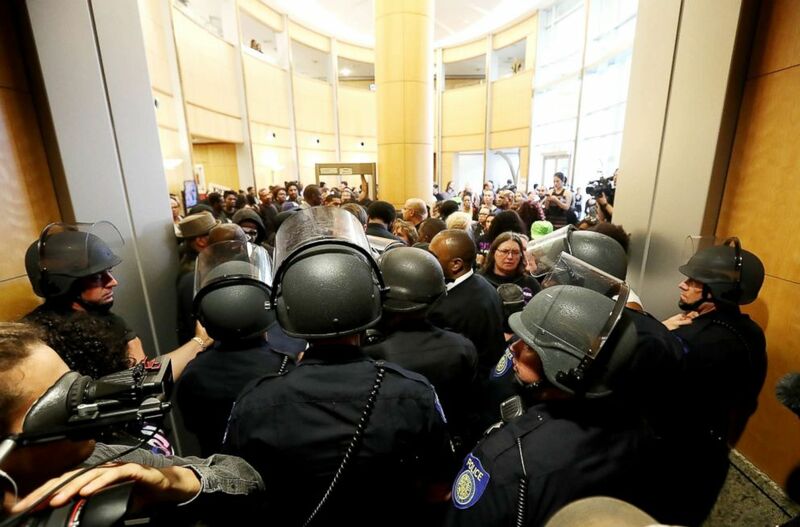 Sacramento police officers in riot gear block the entrance to a city council meeting at Sacramento City Hall on March 27, 2018, in Sacramento, Calif.
Clark was shot and killed by Sacramento police officers in his grandmother's backyard on March 18, 2018, after officers responded to a 911 call that described a man in a hoodie breaking car windows and hiding in a yard. When the officers encountered Clark, according to body-cam footage, they believed he was in possession of a "toolbar." One of the officers said Clark motioned toward them, and another officer was heard yelling, "Show me your hands ... gun, gun, gun." The two officers fired 20 shots, hitting Clark at least seven times. Investigators later determined Clark had been holding only a cellphone. Sacramento Police Chief Daniel Hahn, flanked by civic and community leaders announces that he has asked Attorney General's office to be part of an independent investigation of the death of Stephon Clark in Sacramento, Calif., March 27, 2018. 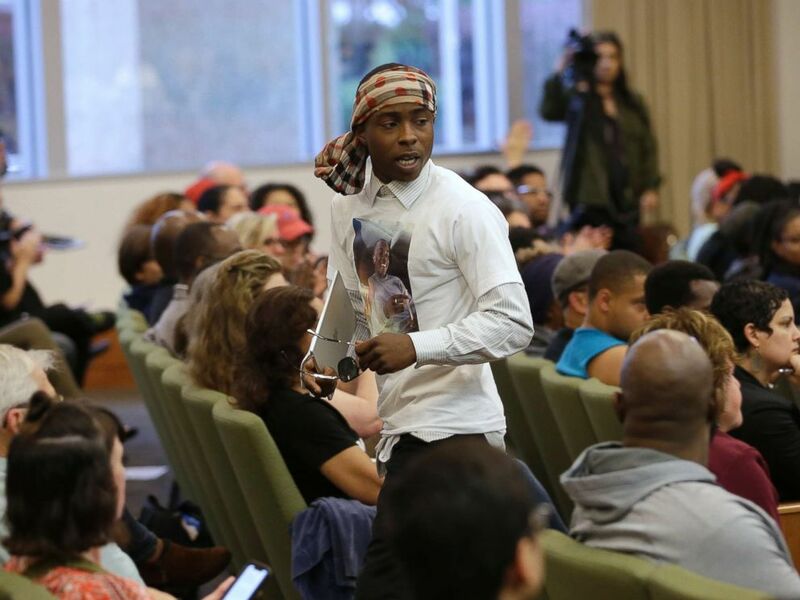 Stevante Clark, the brother of Stephon Clark, who was shot and killed by Sacramento police, leaves a meeting of the Sacramento City Council, Tuesday, April 10, 2018, in Sacramento, Calif.
"The Sacramento police executed Stephon Clark in his grandparents' backyard, mistaking his cell phone for a gun, assuming he was a criminal threat simply because he was a black man," Ben Crump, a lawyer for Clark’s family, said in a statement. "Stephon's life had value. In America, a life -- even a black life -- can't be arbitrarily extinguished without holding those responsible accountable." In a statement released on Monday, the Sacramento County District Attorney's Office said it received a "voluminous investigative report" about the fatal shooting from the Sacramento Police Department on Oct. 25. It received "further substantial investigative reports" and related materials from the Attorney General's Department of Justice investigators on earlier this month, according to the statement. "Our timeline for completion of our review has thus been delayed as we process the supplemental materials," the statement said. "We will take whatever time is needed to ensure a fair, thorough, and accurate review of this matter." The lawsuit was filed in the U.S. District Court for the Eastern District of California on behalf of Clark's two sons, his parents and his grandparents. It is not clear if Mercadal and Robinet, the two officers named in the lawsuit, have retained attorneys.